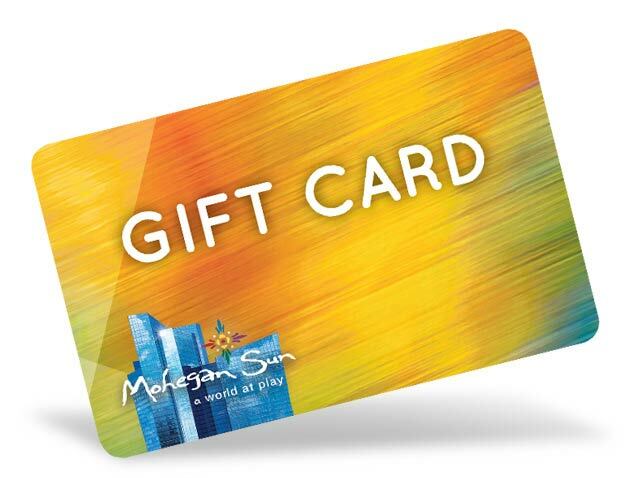 The Mohegan Sun Gift Card - a great way to experience Mohegan Sun. Our gift cards can be used for shopping, dining and entertainment and are accepted at the luxurious hotel at Mohegan Sun, including the Earth Tower, Mandara Spa, Mohegan Sun Golf Club and Mohegan Sun's Mobil Gas Station & Convenience Store. GIFT CARDS ARE NOT AVAILABLE FOR GAMING USE. We apologize for the inconvenience but the purchase of gift cards online is temporarily unavailable. To purchase a gift card, please visit or call the Mohegan Sun Box Office at 860.862.8499.